2008 VINTAGE: PROMISINGLY SUPERB WITH FRESH, AROMATIC WINES! As the harvest draws to a close, Alsace wine professionals are both relieved and satisfied. Admittedly, the particular climatic conditions of 2008, and a very uneven evolution of maturity caused some anxiety at first. This was swiftly dissipated as the harvest got under way. But let us first return to the main chronological points of this year’s climate. In 2008, the vegetation cycle reverted to its classic pre-2000 pattern. Unsettled cool weather throughout the winter and until April created a wide gap between earlier and later microclimates. On average, budburst began at the end of April, some 10 days later than usual. The month of May was particularly warm, which helped vegetation growth and slightly reduced the delay. Flowering took place around 15 June. Although this is the normal date, it should be noted that flowering was spread over two weeks due to damp and cool June weather. This served to widen the gap between earlier and later microclimates, and created widespread “coulure” of Muscat Ottonel, whose yields are consequently very low this year. Summer was marked by periods of hot and humid weather, with some very localised but quite violent storms. However, temperatures never reached heatwave levels, and these conditions allowed optimum levels of aroma and acidity to be preserved. For AOC Crémant d’Alsace, Monday 15 September. For AOC Alsace and for AOC Alsace Grand Cru, Thursday 25 September. For late-harvest Vendanges Tardives and Sélections de Grains Nobles, Thursday 9 October. 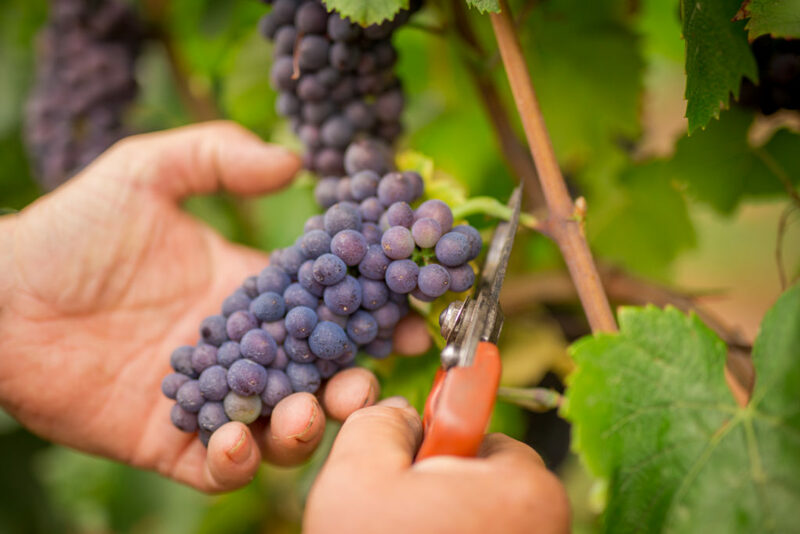 Taking into account the uneven levels of both maturity and sanitary condition, grapes from the earliest-ripening vineyards were harvested first. Weather conditions during the first fortnight of September were quite damp, with particularly heavy rainfall on 13 September. Happily this was succeeded by cool, sunny and windy weather which dried the bunches and thus prevented any major problems of rot. Many winegrowers wisely chose to wait for ideal conditions to arrive (dry, sunny weather) before harvesting. In effect, in some regions, certain varieties such as Riesling took longer than usual to ripen. 1996, 2002, 2004 ? Even if this 2008 vintage is difficult to compare to previous years, all wine professionals are extremely satisfied. The wines are fresh and characteristically fruit-driven. The grapes were very healthy, and everything indicates that this will be a very fine vintage. The Crémants d’Alsace are particularly successful. All the still wines display very pure, very fragrant fruit aromas, especially Gewurztraminer (small yields, very concentrated aromas). Exceptional climatic conditions in October enabled numerous late-harvest Vendanges Tardives and Sélections de Grains Nobles wines to be made. We are willing to bet that 2008 will be a great vintage to lay down for the future ! At 1 637 000 hl, stock levels at the end of the 12 month sales period were stable compared to the previous period. The volume of the 2008 vintage is estimated to be slightly lower than that of the 2007 vintage.